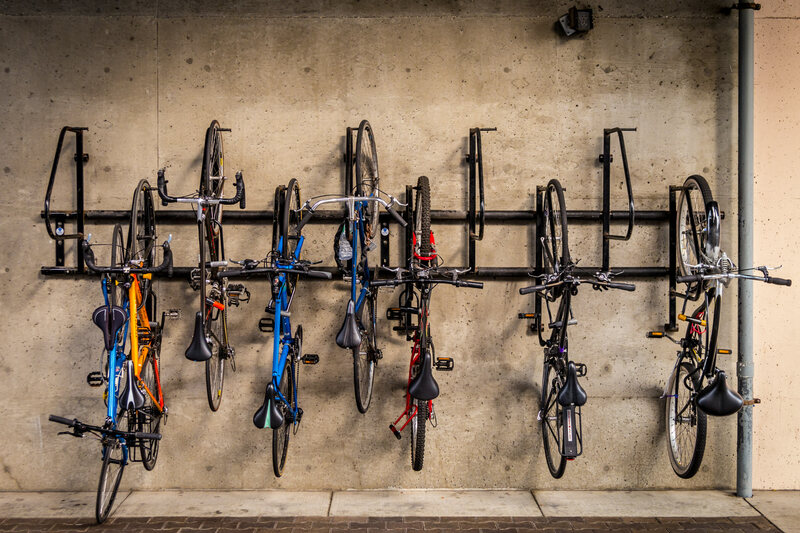 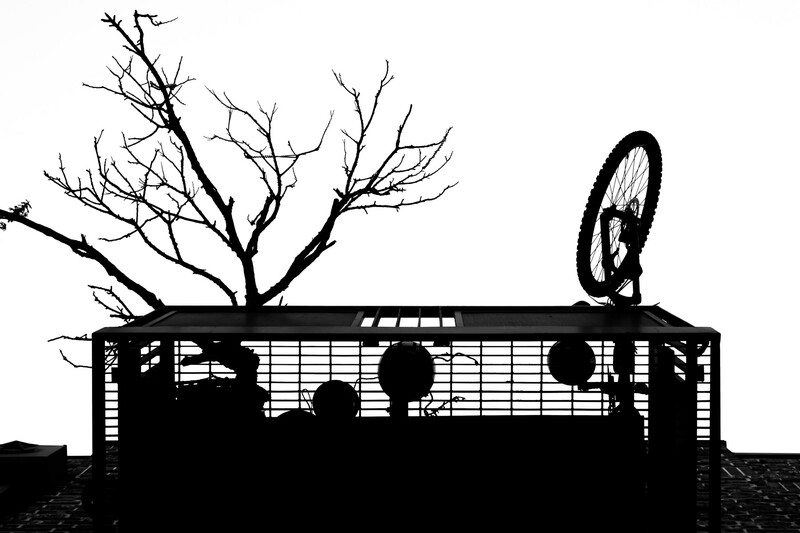 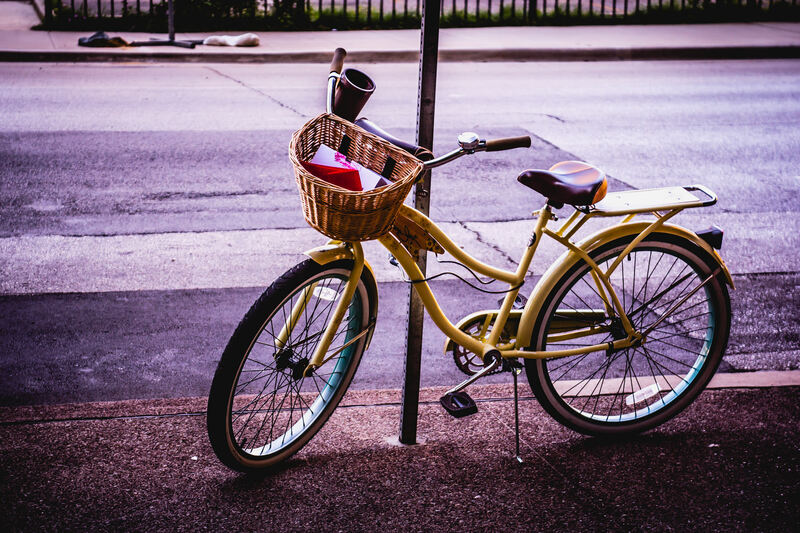 The silhouettes of a bicycle and a small tree on a balcony at a Downtown Plano, Texas, apartment building. 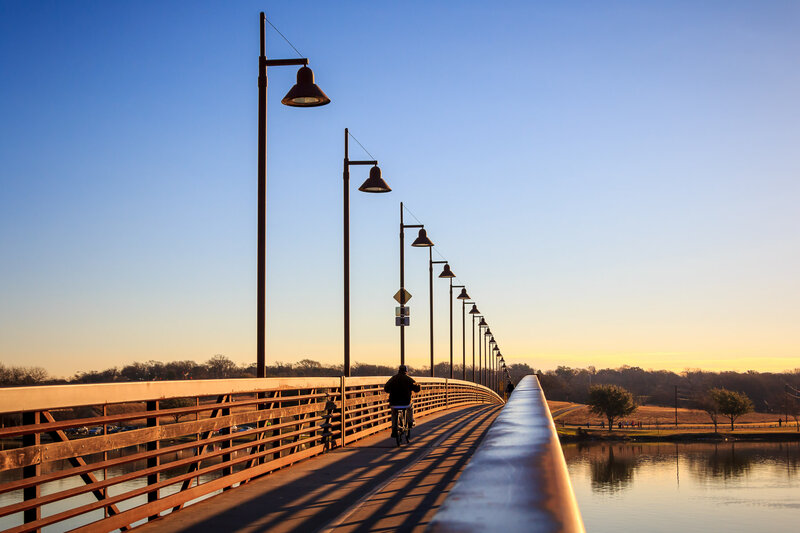 A bicyclist crosses a pedestrian bridge over an inlet at Dallas’ White Rock Lake as the sun begins to rise on a cold winter morning. 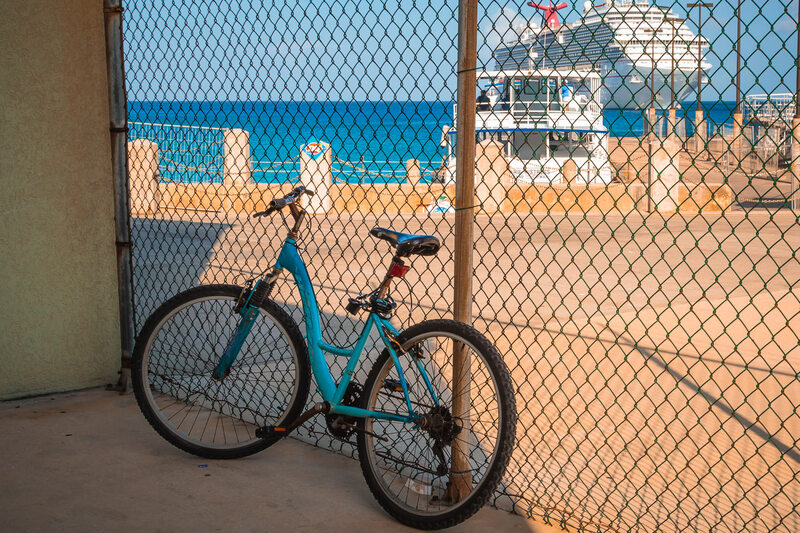 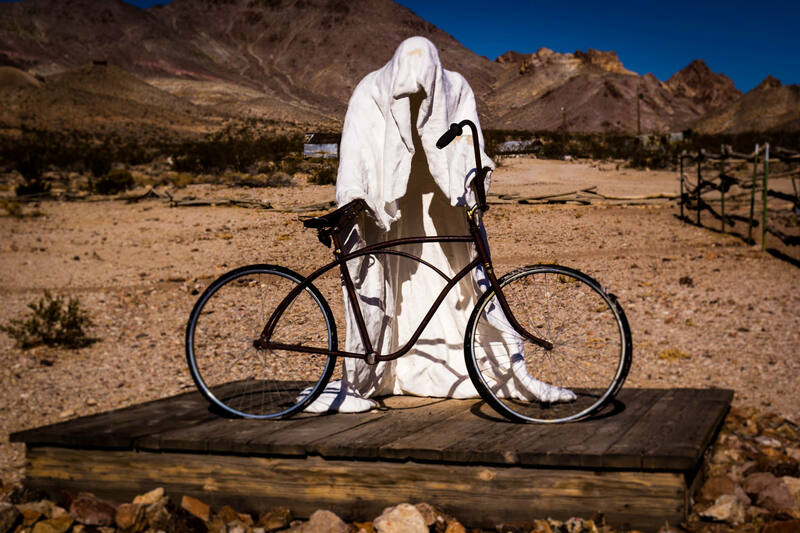 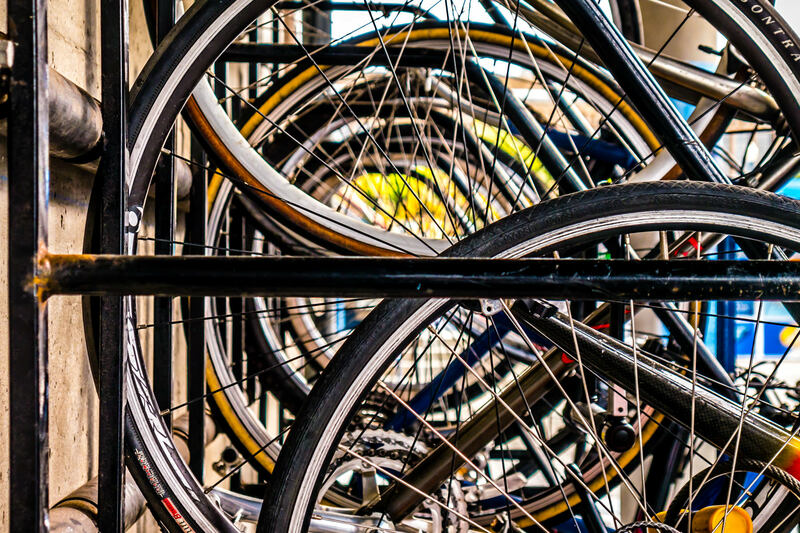 A bicycle leans against a fence in George Town, Grand Cayman. 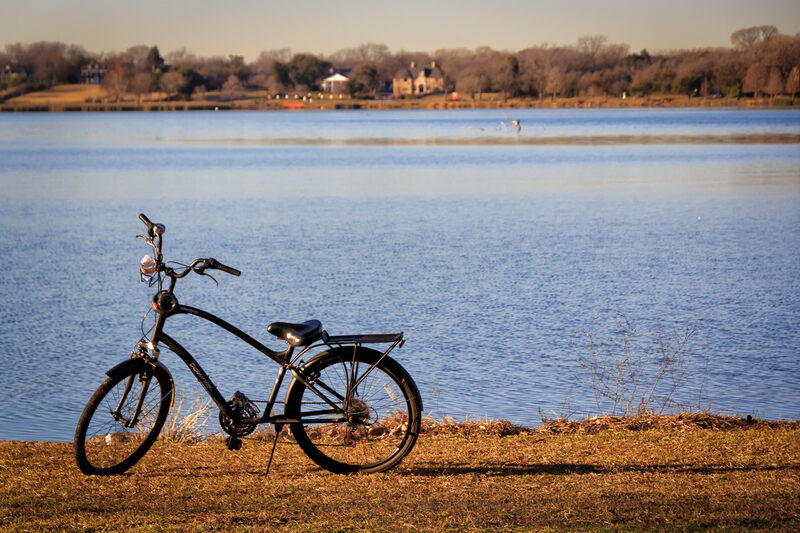 A bicycle parked along the shoreline at White Rock Lake, Dallas. 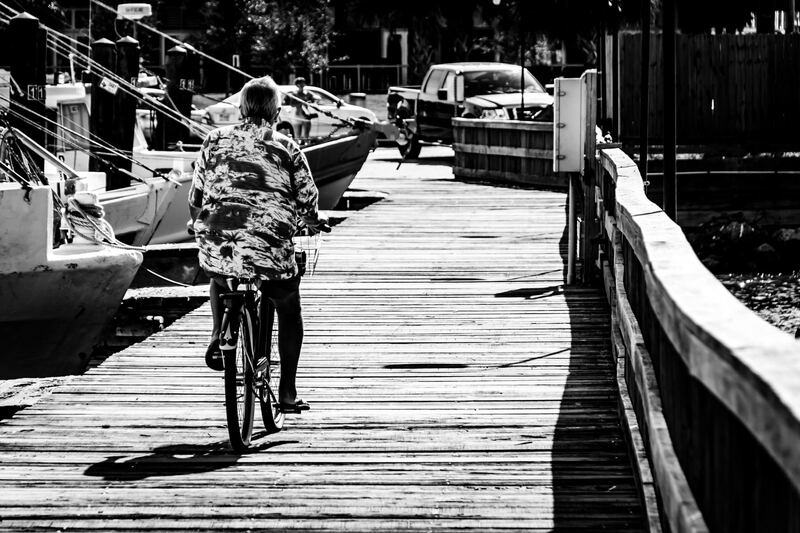 A Hawaiian-shirted gentleman rides a bike along a pier in Galveston, Texas. 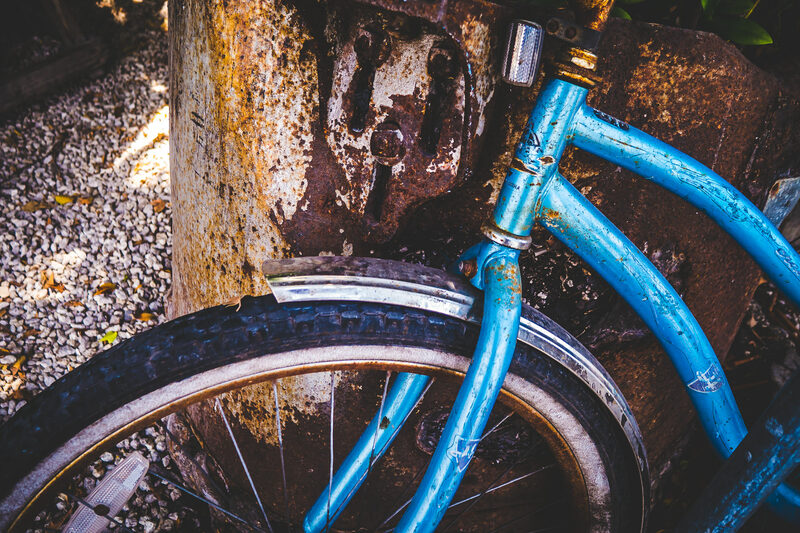 A bicycle locked to a road sign in Downtown Dallas.